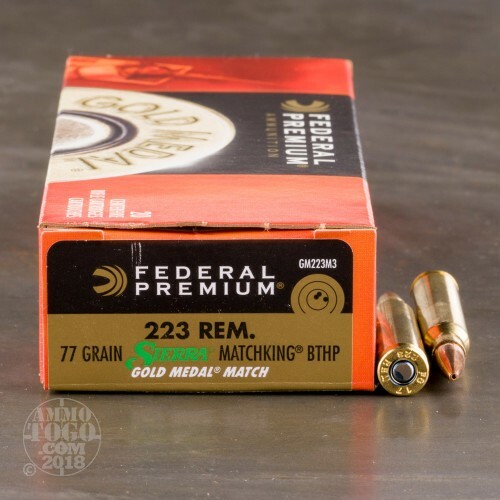 This is .223 Federal Gold Medal Match 77gr. 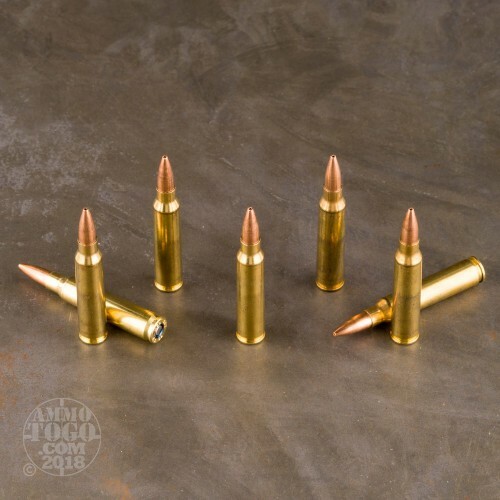 Boattail Hollow Point Ammo. 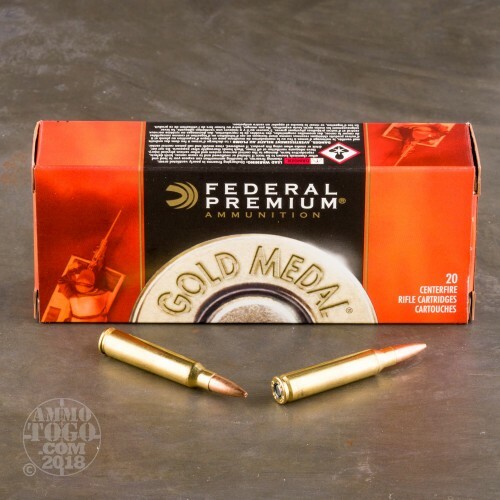 Federal is all about new products and technological leadership, but why change a product that is as world-renowned as our line of Gold Medal rifle cartridges. Because these heralded loads combine the legendary Sierra MatchKing Boat-Tail bullet with Federal’s proprietary delivery system. Stringent manufacturing controls give you what many experts and international shooters consider the most accurate match round available from a factory. 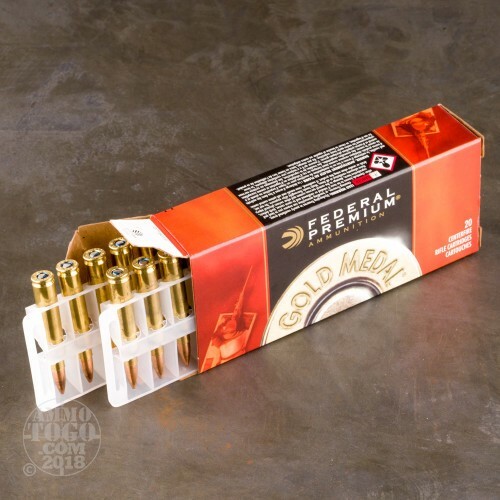 World-class competitors, as well as military and law enforcement officials, choose Gold Medal when it counts the most. This ammo is packed in 20rd. boxes. I decided to use this ammunition after I was told my LWRC M6A3 DMR had a barrel twist of 1 : 7 and could stabilize them. Couldn't be anymore true. Great groupings, with the help of a zero, shot perfectly. No flaws at all.